To a reproduction neoclassic hand carved white statuary marble center tablet from a fireplace mantelpiece. 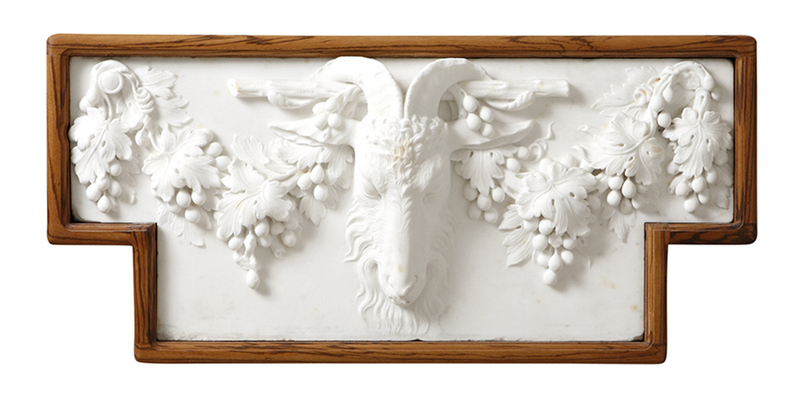 The tablet is developed with a goat head motif and rich swags of grapes. The style was used in the English Adams' period. The tablet is from the Stokesbury Estate. (White Marsh Hall, Chestnut Hill circa 1910).